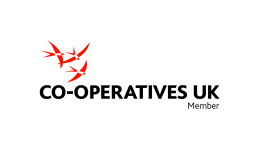 During the Co-operatives North West “Co-operation Now!” event, software.coop heard concern at the price of .coop domains. We listened. Having negotiated with our suppliers, we’re delighted to announce a significant reduction in the price from £75 to £64 per year. You can transfer existing domains and benefit. We can make you a web site, too. Visit www.software.coop or email info@software.coop. This entry was posted in Cooperatives and tagged cooperatives, domain-names. Bookmark the permalink.